Australia Day this is what I did, flew a stack of kites at the fireworks display at Penrith. 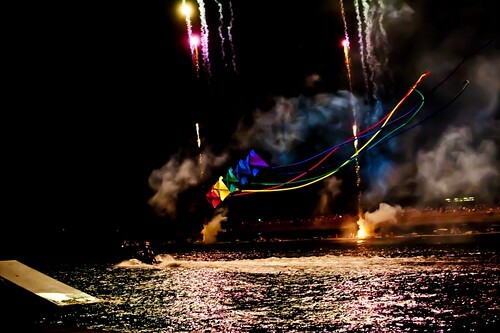 Next time we plan to have fireworks on the kites as well. Well I have tried, and I have read how to post pics but I think I will just go and have a beer! Be careful what fireworks you go for. Miraculous I go away and have a fly and a good nights sleep and the pics work. Thanks Thief! 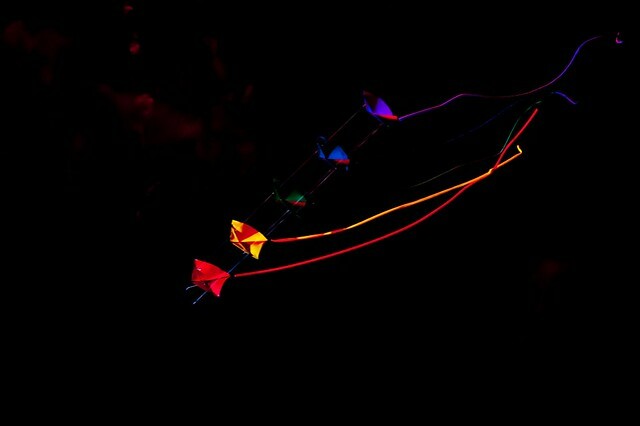 Flying the kites from the back of a jetski in the dark with a big crowd and fireworks going off right alongside was an amazing experience. It was a team effort with Mike Richards from Kite Magic spearheading the event and Roger and I flying and Chris on the launch. All part of celebrating Australia Day! One way to scare the seagulls. It was great fun Denny but Very Intense. Like flying in a combat zone ? 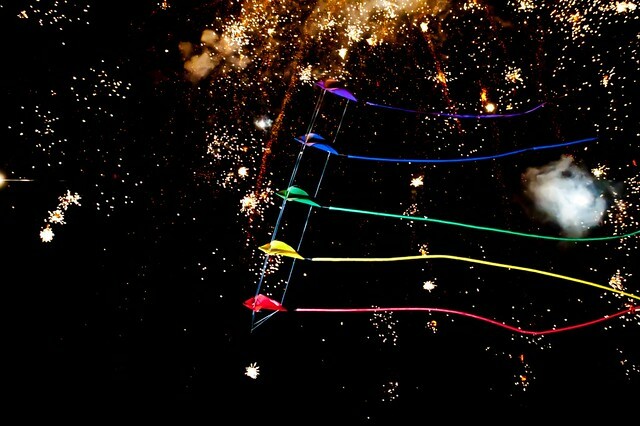 What are those kites made of? 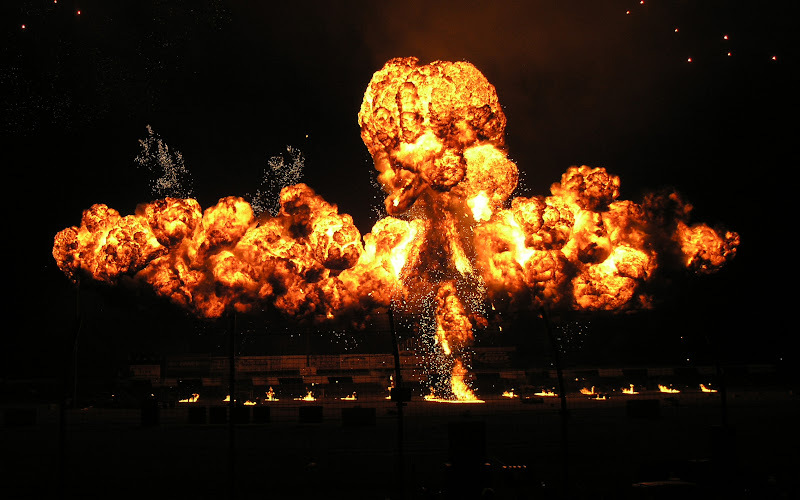 Wouldn't Icarex just get filled with holes with all those sparks?!?! Are they any special materials? I am certain that this box is not in perfect condition anymore..